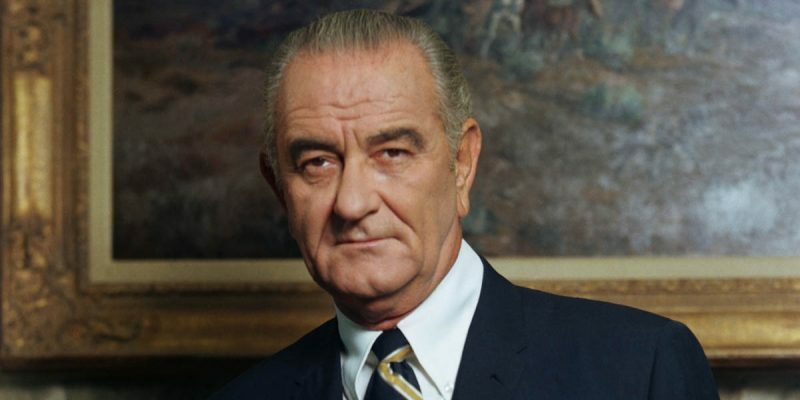 From The JFK Assassination Files: Was Lyndon Johnson A Klansman? Nuggets of information like this are likely going to dribble out for weeks, given the 7,000 pages of unreleased and previously-redacted JFK assassination files which were set loose Thursday by President Trump. It’s unlikely any of them will put many of the conspiracy theories or suspicions about the assassination to rest, but for history and political buffs they’ll definitely make for good Halloween candy. For example, this memo from William A. Branigan, an FBI agent who later rose to become chief of the Bureau’s counterintelligence division before he retired in 1976. Branigan’s investigative work was important; he was instrumental in investigations that led to the espionage convictions of Ethel and Julius Rosenberg, Col. Rudolph Abel and Kaarlo Tuomi, as well as working the JFK assassination. In the memo below, Branigan is passing on information to William C. Sullivan, who at the time was the head of the FBI’s domestic intelligence division. The information being passed along counts more as rumor than anything else, though perhaps with an added flavor of credibility given that the source claiming then-president Lyndon Baines Johnson, who ascended to the White House after the Kennedy assassination, was a member of the Ku Klux Klan might well have been in a position to know. That Johnson would have been a member of the Klan wouldn’t be much of a surprise, frankly. As a member of the Senate he had fought vigorously against civil rights legislation favored by President Eisenhower and Republicans on Capitol Hill, and early in his political career Johnson was guilty of all kinds of statements in support of the Jim Crow reality in the South. It’s a bit of foreshadowing of something we see ad nauseam from today’s Democrats, no? Accuse the other side of something you yourself are guilty of. Branigan and Sullivan weren’t loons, and they weren’t goofballs living in their mothers’ basements. They were a pair of highly-placed agents of the FBI, and Branigan was passing along information that the man currently holding the office of President of the United States was a former member of the Ku Klux Klan. That isn’t the kind of information exchange which would have been made lightly.